Wow, March already! Hope you all enjoyed the extra day that came with the leap year! Here’s my March Bucket List which I’m linking to Twinderelmo’s Bucket List linky. February?was exciting because, I ran my first?competition for a Letterbox Cake from Baker Days – the competition is now finished, but check out my review of their cakes, as they’re yummy and great for presents ? Review of Baker Days Letter Box Cake & Giveaway!! I also want to mention my post Why would you not vaccinate your baby? ?which I wrote in January. It has continued to see brilliant traffic and amazing comments. Given the recent publicity around Meningitis B and the short supply of its vaccine privately, it appears everyone has suddenly become more pro-vaccine!! I may choose to write about the Meningitis vaccine but at the moment, I feel so strongly, I need to finish the research I’m doing and make sure I’m happy with what I write… so I might write about it in March, but maybe not. There are several reasons: My daughter was born at the end of November 2014, and so missed out on the NHS jag. When the jag started being implemented H was 8 months old, still well under a year, and so I wish we’d stuck to our original plan to privately vaccinate her when she was a few months old. Instead, we believed there would be a proper catch up and didn’t. ?Anyway, I know my vaccination post hit a chord with so many of you so?please keep sharing to raise awareness for the NHS Childhood Vaccination scheme as a very basic start – help heard immunity work to protect all our little ones! I’ve been featured on Mum Muddling Through’s blog in her #CoolMumClub #MeetTheMembers guest post series! Check it out over on her blog. As Sarah will say I’ve been writing that post for a couple of months and kept re-writing, it was hard writing about myself and I just wasn’t happy! And, just at the end of February, on Wicked Wednesdays on the fab Brummy Mummy of Two’s blog – check out my post here and her #WickedWednesdays linky here. I finally launched my?Guest Post series: #BehindTheLinky! I was SO excited by this and big thanks to the lovely Mum Muddling Through, Sarah, host of #coolmumclub, for being my?first guest poster- you know you want to be cool too and?check it out?? The second instalment featuring the?amazing Franca, from A Moment With Franca, and host of #KCACOLS?has just gone live here!! I published a few reviews this month, from The Little Green Sheep’s Cot Mattress Protector to trying out Jamie’s Italian’s Super Lunch deal, as well as writing about Sleep Tips in collaboration with Yorkshire Linen and, how we got?ready for H’s arrival with Dettol’s #GetTheWorldReady. Twitter: just over ?3,500 (up from 2,900)- AMAZED! Tots100 – 516 at the start of February… ? How did I do with February’s Bucket List? Finally publish my favourite linkys page – STILL TO DO! Keep growing my social media following. – Continue, especially Facebook and Instagram? See February’s bucket list!!! Some good, some… ooops! Blog redesign – I’ve been researching and trying new themes since Christmas, so I’d like to get it all sorted in March. Reviews: if you check out my review page you’ll see a list at the bottom… most are half written, I should do something about that. Looks like you’re really growing. Best of luck meeting your targets in March! Sounds like you are doing really well and thanks for all the linkys – I’m new to this linky thing so there is loads for me to try. Great bucket list! I’m thinking of doing one of my own now to keep me organised! I always forget something & it’s great to see how well your blogs doing. A very busy month for you indeed! Congrats on the stat growth that’s really fab. How did your giveaway go? 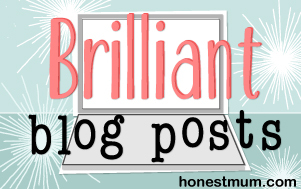 Id absolutely love to guest post on your linky series – please let me know how!